Cars & Toys is back for 2017! Building on an absolutely amazing first year of this event, we are anticipating 2017 be even better. Bring the kids! 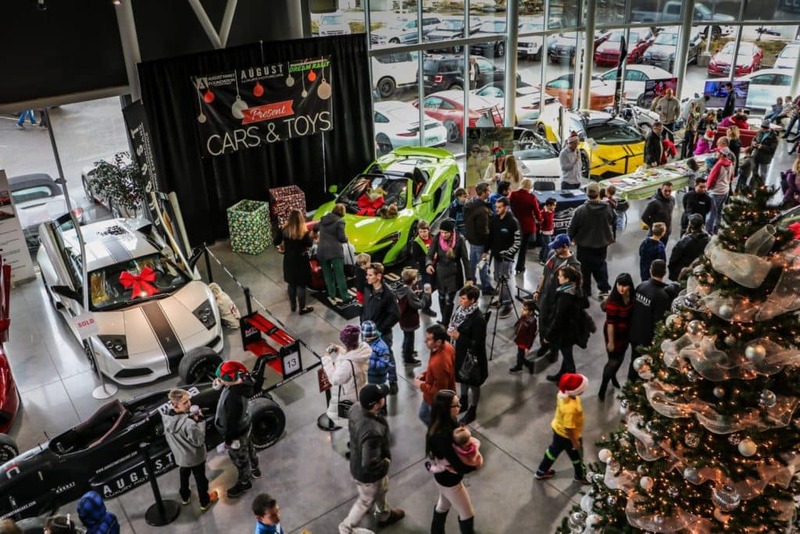 Come by August Luxury Motorcars on Sunday, December 3 with a new unwrapped toy and get photos taken with Santa and supercars, enjoy some christmas treats, as well as other christmas activities! All toys donated this year will be going to Ronald McDonald House BC and Yukon to help bring joy to children that need it the most this holiday season! Last year Santa arrived in style by helicopter. How will he arrive this year?? We have some surprises planned… stay tuned and share the event with your friends! For more information or if you would like to be a part of Cars & Toys, give us a call.